DEBATE: Should a General Election follow the appointment of a new Tory leader and Prime Minister? Should a General Election follow the appointment of a new Tory leader and Prime Minister? Tim Bale, professor of politics at Queen Mary, University of London, says YES. 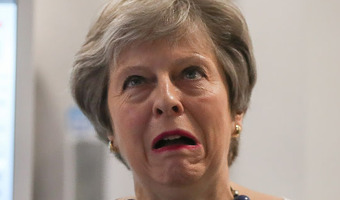 There is no constitutional requirement for anyone who takes over as Prime Minister to call a General Election, although one could be forced upon them were they to lose a vote of no confidence – something that can’t be completely ruled out in a hung parliament. That said, an election might well be the right thing to do. At the moment, the government is hamstrung by the absence of a majority. If the election were to go well, it could escape the new Conservative leader having to rely on the Democratic Unionist Party. And if it were to go really well and produce a comfortable majority, any new Prime Minister might even be able to tell the Tories’ very own awkward squad where to get off too. All this would probably make easier as well to negotiate the second phase of Brexit (presuming there is one) with the … [Read more...] about DEBATE: Should a General Election follow the appointment of a new Tory leader and Prime Minister?